The T28 is an American tier 8 tank destroyer. When you first play the T28, you will notice that it is much slower than the T25 AT and to some players slightly worse. This tank is a bit faster than the T95, but just barely, so both tanks are easy prey for artillery and fast tanks. 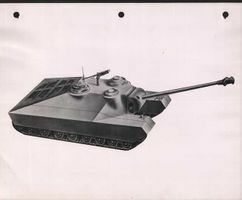 The frontal armor is decent for its tier unless they load premium shells, unlike that of its turreted counterpart the T28 Prototype, although the lower part of the armor is flat and easily penetrated. The 120mm gun can bring down even the strongest opponents with rapid fire, good damage, and accuracy. The only things the driver needs to worry about are its side and rear armor, as they are quite thin, allowing quick movers to take you down with ease. Be patient, stay in cover, and provide support for your allies and the T28 will prepare you greatly for the monster T95. The T28 leads to the T95. 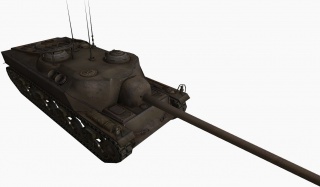 With the introduction of Patch 9.21 WG has released the T28 in HD, and with it a new play style that the previous model was incapable of fulfilling. Hull directly above the tracks,aka "Shoulders": 203mm sloped and angled @ 55 degrees for an Effective 330mm of armour. Hull Side: 101.6mm of Flat armour. 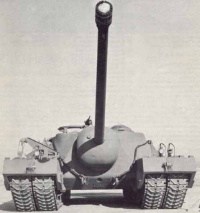 Due to the revised armour profile, the only tanks that can reliably penetrate the T28 frontally are tier 9 and 10 tank destroyers, as even some tier 10 heavies will struggle with their standard AP rounds to penetrate the T28's armour. It must be stated however that the effectiveness of the T28's new armour is only at it's strongest when facing your target frontally: Any over angling on the players part will reduce the effective armour of the shoulders, allowing them to be penetrated with ease. It should also me noted that while the mantle is 254mm of armour frontally, the mantle sides are only 127mm thick. 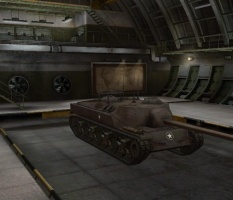 The second major change to the T28 was the removal of hull hit box behind the tracks at the front. 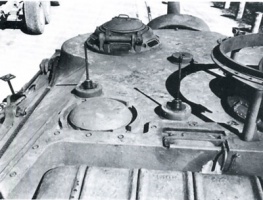 Previously, the ubiquitous lower glacis "chin" as it was referred to filled the hit box between the front idler gear and the rest of the hull, meaning any shot that was put into the tracks at the very front would not only track the T28 but also damage it. This made it very difficult to corner fight with the T28 effectively. 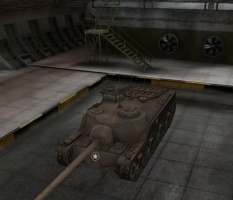 With 9.21 and the HD model however, the T28's hull has been shortened and the "chin" removed. 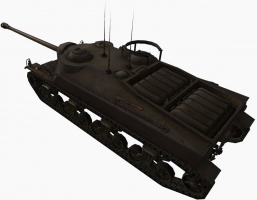 This has allowed the tank's hit box profile to be much closer to that of the T95, in which there is no actual hull between the front idler gear and 2nd road wheel. This means that any shot placed into this area (which can be considered the first 1/4 of the track profile) will only track the T28 while not damaging it. 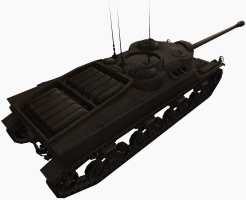 This change to the design allows the T28 to "Corner Feint" or "Corner Juke" in city maps like the T95. For those unfamiliar with this play style, this is when the driver of a T28/T95 hugs a corner of a building exposing just the edge of the track (usually the front idler gear only) and then proceeds to rotate the tank around the corner like that. The idea is to cause the enemy to shoot into the track in an attempt to damage the tank. All that will result however is the track blowing off and the enemy tank having wasted a shot. Combine this play style with a 100% Repair Skill, and the T28 is now a much more effective front line tank. 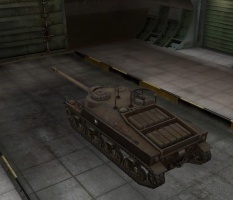 As in previous patches, what truly makes the T28 stand out from it's tier 8 competitors is it's 120mm gun. 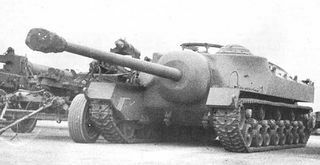 The 120mm gun combines good accuracy (.35 w/ full crew and equipment), penetration in both AP and APCR, and DPM (7.5 second reload w/ 3200 DPM with BiA, Vents and Rammer). This allows the T28 to put out very effective fire support that plays well both in close up engagements or in a long range fire support role. The rate of fire of the 120mm is enough when fully upgraded that is can potentially keep targets continually tracked in placed while your allies knock them out. While the 120mm may not be the best in any one area, it's focus on balance makes it one of the most effective in it's tier. As before, however, the same considerations must be taken into account when playing the T28: Always stay close to your allies for support as a light or medium (and some heavies) can easily flank you due to your low speed and hull traverse speed. Be aware of artillery and always use hard cover for protection. Avoid open fields where enemy tanks can circle you with ease. Try and cover your LGP at all costs. 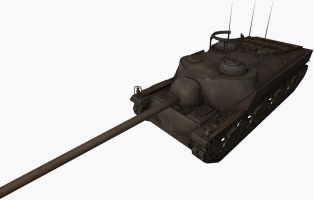 With the revised HD model in Patch 9.21, the T28 now fills it's proper place in the American case-mate TD line as an intermediate tank between the lightly armoured, fast moving support tanks at Tier 6(M36 Jackson) and Tier 7 (T25AT) and the slow moving, heavily armoured front line tanks at tier 9 (T95) and Tier 10 (T110E3). 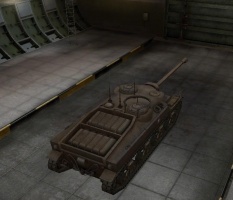 The change to the T28 now allows the tank to fill it's intended role with ease as it can now lead the charge for your team and break through the enemy lines when top tier (as very few tanks can actually penetrate the T28's new armour) while also letting it get closer to the action when bottom tier and provide a constant stream of fire power to aid your allies, and even help push through the enemy line if needed. Wargaming has wiped the slate clean with the T28 and it's HD model and can now truly play like a Tier 8 T95 as was always intended. 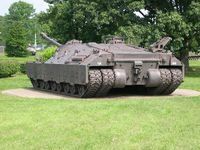 Though the tank does still have weaknesses that you must be aware of, these should not hold you back or deter you from taking advantage of it's new found strengths and capabilities and using them to your and your team's full advantage to help carry the day. No historical records exist of any plans to replace its original 105 mm AT Gun T5E1. This page was last modified on 30 January 2019, at 10:15. This page has been accessed 41,410 times.